We at Las Vegas Party Ride asked local wedding venues in Las Vegas their advice on making your wedding one to remember! In today’s world with so many wedding and reception options, many couples have chosen to hold their receptions at residences rather than a formal reception venue. There are many benefits to choosing a formal venue. The first being the time that is takes to prepare and the costs associated with it. Most couples find wedding planning stressful enough working out the details of the ceremony, why burden yourself with the additional stress of having to prepare and decorate the residence as well….not to mention the cleanup that needs to take place afterwards. 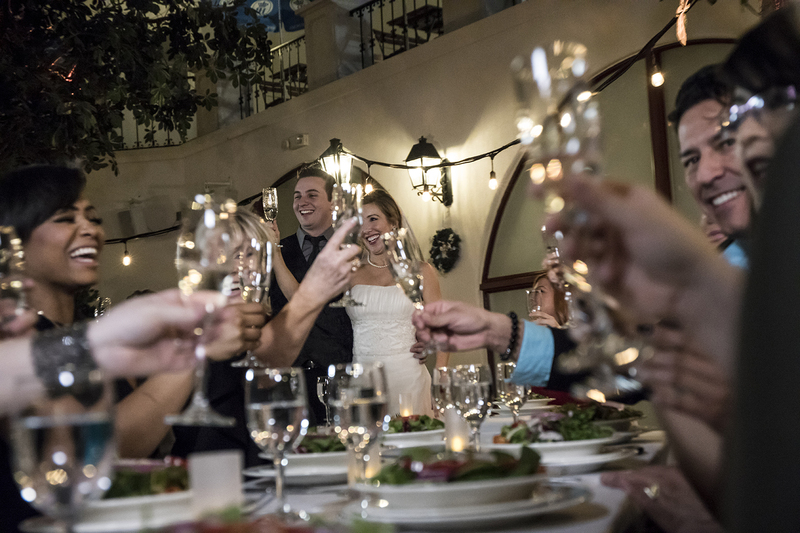 We suggest a formal venue so that once the reception is done, the couple, the wedding party and their guests can all end the night without having to worry about taking down decorations and clean up, let the celebration roll on and let others worry about the cleanup! Formal reception venues are very experienced in the set up and clean up and most are very willing to negotiate and customize the reception to fits each couples needs and ideas. 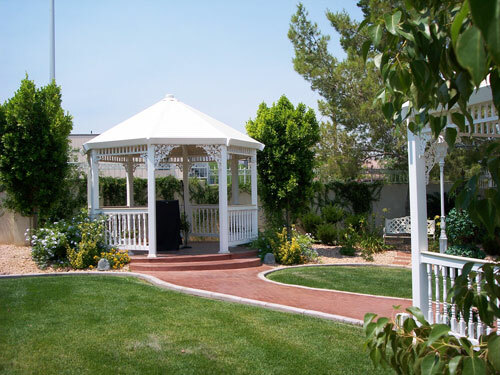 At Hofbrauhaus Las Vegas, our simulated, outdoor beer garden makes for the perfect wedding venue, for a “backyard wedding” without being at the mercy of the weather. Our virtual sky, cascading fountain, and interchangeable, color illuminating trees are the most romantic setting, offering an escape from the bright lights of Las Vegas. We can take care of everything from the ceremony to your custom cake. Whatever you have in mind, let us be your first step in the journey to your new beginning. 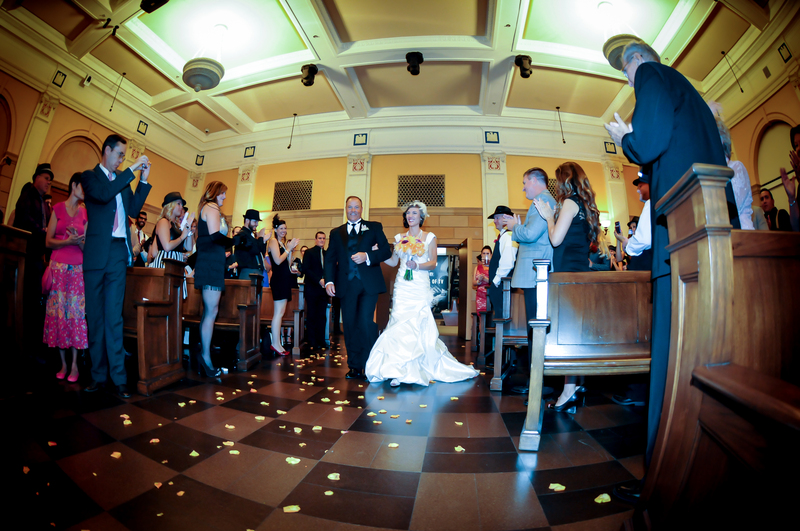 The Mob Museum is Las Vegas’ most arresting venue where you can throw a wedding that will top anyone’s most wanted list. Located in the heart of downtown Las Vegas, the Museum is housed in the historic former federal courthouse and U.S. Post Office, meticulously restored to its original grandeur. 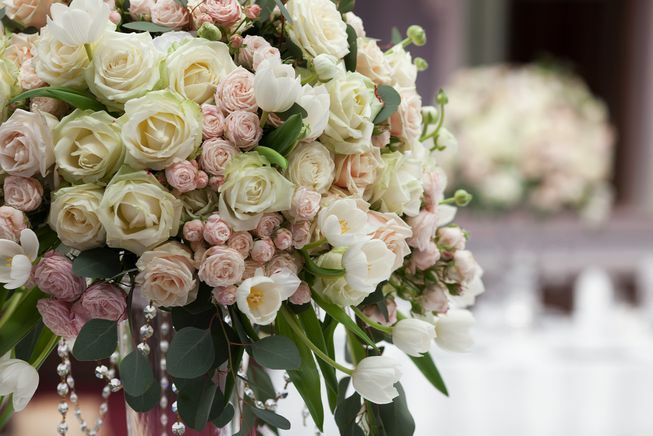 Our team of wedding experts guide you through the process while you enjoy a stress-free, event-planning experience. We make the planning process as easy as possible and offer various packages including flowers, photographer, DJ and similar. If you don’t see what you are looking for, we are always happy to customize based on your special wishes to make your big day truly spectacular.